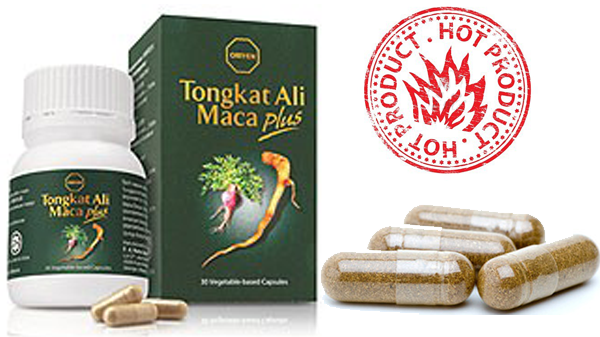 Tongkat Ali Maca Plus is a very potent herbal mixture which combines Tongkat Ali, Maca, Ginseng and Ginkgo Biloba to give a powerful boost to men’s virility, energy level and mental power. Tongkat Ali (Eurycoma longifolia) is Malaysia’s very famous plant for male vitality and energy. 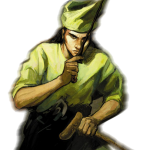 Its name means “Ali’s staff ” in reference to its effects on male sexual prowess. Tongkat Ali has traditionally been consumed to increase overall energy, enhance sexual potency, strengthen erection, boost metabolism and improve fertility. Tongkat Ali is a proven testosterone booster. This herb is particularly renowned for its ability to increase testosterone levels significantly. Testosterone hormone is primarily responsible for the growth and development of male reproductive organs. Normal testosterone levels maintain energy level, mood, fertility, and desire. It achieves this by positively affecting hormonal balance which naturally stimulates the body to produce more of the free testosterone. This testosterone supplementation in turn increases muscle strength and muscle mass, which are important for physical function and athletic performance. Traditionally, Malay men were expected to father many children, so virility was especially desired. It was thought that a virile man was a healthy one. Longevity was also desirable as it signified vigour and vitality. Today, Malay men continue to nourish their bodies in variety of ways. There are certain rituals that men are expected to follow. Geared towards general strength and wellness, many are also designed to enhance sexual prowess. One of the traditional herbal root that Malay men have been using for centuries to improve virility is called Tongkat Ali. © 2014 | www.powertongkatali.com | All Right Reserved.